Jon Christie, the DJ-turned-furniture-maker and 3D printing enthusiast, has been making waves with his Modernist-inspired designs. To the untrained eye, there’s nothing unusual about his most recent project: an elegant mid-century style dining table and four chairs, showcased as part of his final year studying at Duncan of Jordanstone College of Art and Design in Scotland. On closer inspection, however, Christie’s work marks a vast departure from traditional furniture making. Pairing dark walnut wood and 3D printed Polyamide joints, the pieces smartly combine time-honoured craftsmanship and design with innovative 3D printing tech. says Christie, who recently made the switch from SketchUp to Rhinoceros as his preferred 3D modeling software. explains Christie, who continues to draw inspiration from Scandinavian design, as well as his work at international auction houses for 20 years. 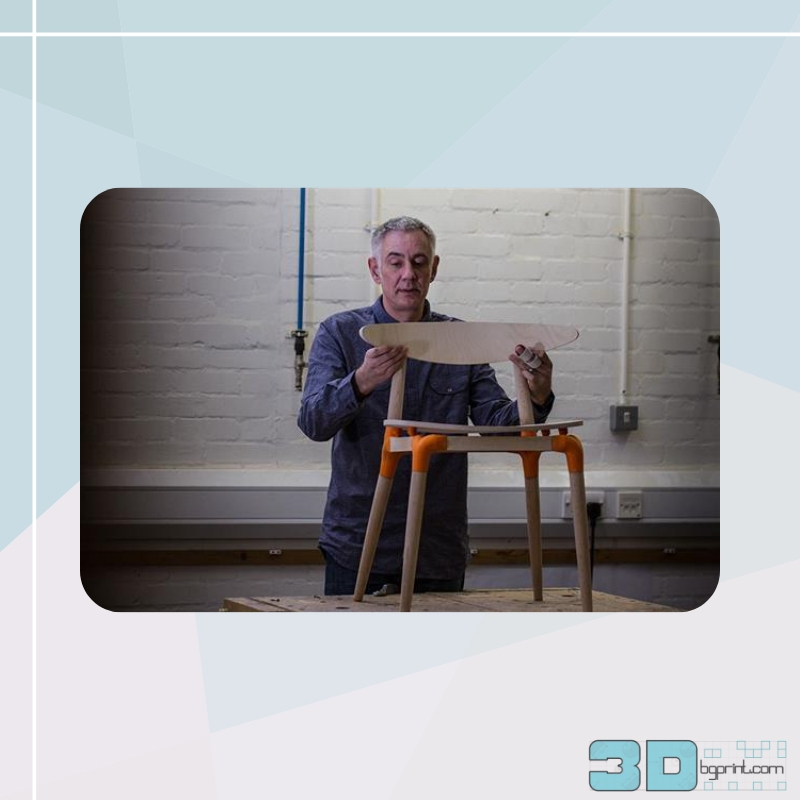 “For me, 3D printing makes it possible to design furniture with much greater freedom to create complicated geometry or sculptural forms, prototype quickly or manufacture to a high standard. If these were traditional chairs they would need to be put together and sent in a large box to the customer. With the 3D printed joints, furniture can be sent disassembled for quick assembly at its destination. The process allows for cheaper distribution, mass customization, less waste, quicker production times and a host of other benefits. The chair and table can be tailored at minimal cost to the customer’s dimensions, their choice of color and hardwood,” Christie says. Most of these benefits will already be familiar to the 3D printing community, however, quick disassembly and re-assembly for shipping furniture stands out as a particularly effective alternative to the assemble-it-yourself model pushed by mass furniture sellers. 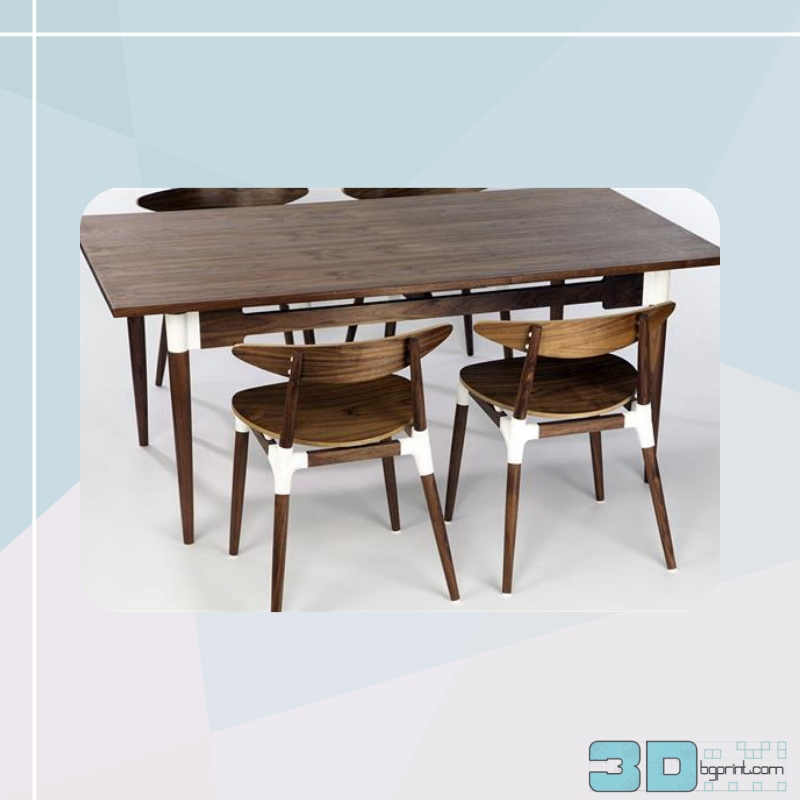 By combining solid walnut wood and disassemblable 3D printed Polyamide, Christie’s creations offer fast production and cheap distribution without abandoning the quality of traditional ateliers. Easy customization is another benefit touted by Christie. “Every step of my designs has been meticulously considered so they can be customized in different ways: size, shape, colour and material, without changing the design of the 3D printed joint,” he explains. According to Christie’s website, industry professionals, designers, manufacturers, and retailers have all expressed interest in the original furniture designs, suggesting that a distribution deal may be in the works.